Motown had outgrown West Grand Boulevard by 1967, and Berry decided to move house to the city's main thoroughfare, Woodward Avenue. The ten storey building was only one hundred yards north of the Fox Theatre and on the same side of the street. Raynoma recalled that the worn marble floor hinted at the glamour of bygone days, but all in all it looked like a psycho ward. She would take the creaking elevator to the fifth floor, a scary experience. Unfortunately, due to the fact that the building had no character or homeliness, unlike Hitsville, the artists began to feel alienated. A few years later, and it would be all over in Detroit. 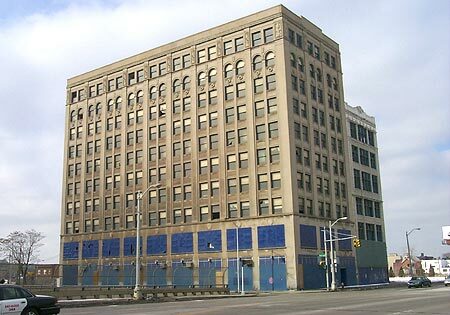 I met a guy in Detroit who had actually gained access to the building four years ago, through a hole in the back wall! He said that remnants of old studios remained on some floors and also Motown correspondence was scattered here and there. Work will soon commence on a $28 million project to convert the building into a second museum. Loft accommodation will also form part of the project.